Moving during the holidays can be hectic.. 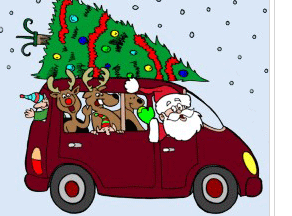 Unfortunately, Santa is not bringing his sleigh or reindeer to help you with your move. 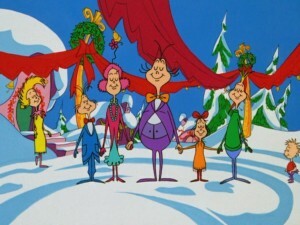 You are Santa, your helpers/movers are the elves, and the moving truck parked outside is your reindeer and sleigh. Here are some tips on moving during the holidays. Moving with children during your holiday move? Make sure you read our blog about moving with children. Need a laugh? Also read our 17 Reasons Why You Should Move During the Holidays. As stated in our “Benefits of Moving in the Fall,” during the fall and winter are the slow days for moving companies. You don’t have to worry about over bookings or not finding someone during your time frame for your move. 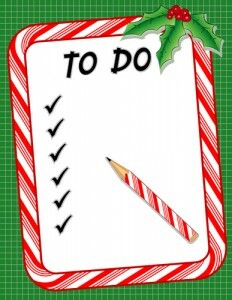 Moving during the holidays “To do,” list. First thing first, make sure you find movers that move around the holidays. Even though its slow season for movers, they also have families too. Some movers might charge you extra if you’re moving during the holidays; due to they might be short staff, etc. a lot can factor during holiday moves. If you are moving with school age children to a different school district or state, make sure you recheck the school’s immunizations regulations. If you are staying in a hotel while your new home is being prepared. Find out if the hotel you’re staying in does something for the holidays. 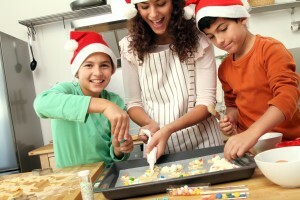 Rather that’s special activities for you and your family in the lobby, holiday dinners and breakfasts for their guests. Even though finding the box that had all of the blankets might be a surprise for you when you open it. Moving boxes are not presents! If you do celebrate the holidays you can always pack your presents in the moving boxes, or at least have a few nick knacks to still bring on the holiday cheer. If you are shopping online you can have the gifts ship to your new home, relative’s, or the hotel you are staying at (make sure you ask the hotel about their policy of gifts being shipped to them). Also to make sure you shop online early enough so your gifts will be delivered on time. Even though moving during the holidays can be stressful and you might be too exhausted to do your normal traditions. Modify your family traditions while you’re going through this new transition. Rather its eating at a friend/relative’s home, going out to dinner, rent holiday movies, board games, etc. Do not let this move steal your holiday joy! Especially if you have young ones who can’t quite understand what is going on. We live in day and age where social media and FaceTime runs our lives. Make sure you and your family stay connected with those from your old neighborhood if possible. HAPPY HOLIDAYS AND HAPPY NEW YEAR, from our family to yours! Need movers for your next big move? Book Garrett’s Moving & Storage at www.garrettsmovinginc.com or call us at 972-487-5843. 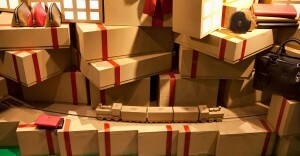 This entry was posted in Apartment Moving, Estate Moving, Moving Stories, office moving, Stress Free Moving Tips, Uncategorized and tagged apartment movers, apartment moving, christmas, dallas, dallas long distance movers, dallas movers, dfw, elf, elves, estate movers, estate moving, happy holidays, happy new year, holidays, local movers, long distance movers, long distance moving, movers, moving, moving during the holidays, new year, reindeer, Rudolph, santa, sleigh, texas, texas movers, texas moves, xmas. Bookmark the permalink.